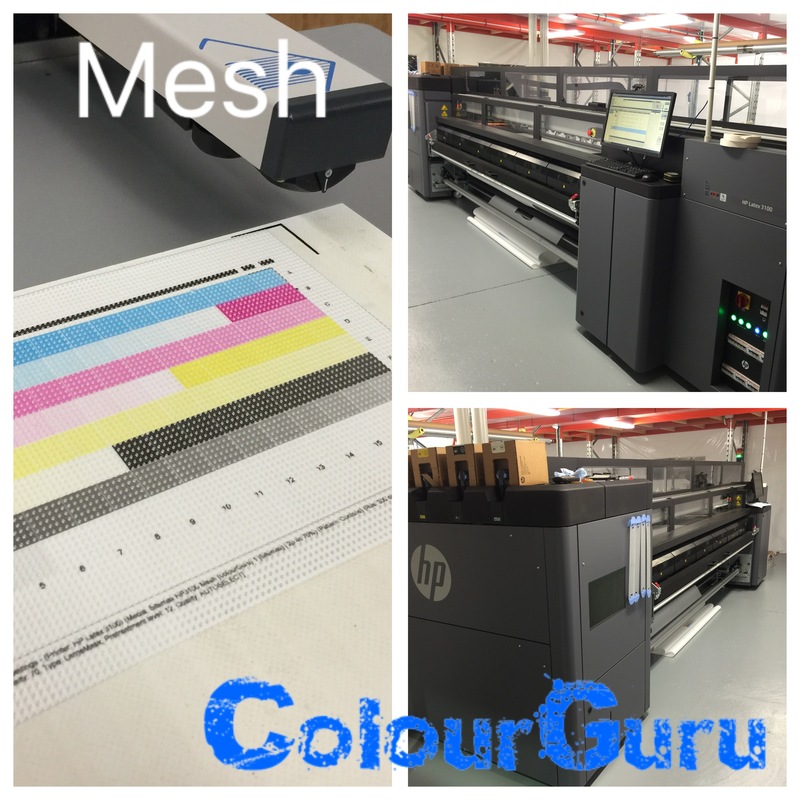 This is is one of my my loyal repeat customers that installed a HP Scitex 3100 Industrial latex printer earlier this year. Ive calibrated all of their other printers and structured their workflow for consistency so without hesitation the asked me to return to get their new latex printer calibrated and set up to match their existing equipment. The mesh provides special requirements for getting an accurate profile because the holes in the mesh interface with the profiling process however I was able to use specific equipment to allow this to happen accurately and scientifically.